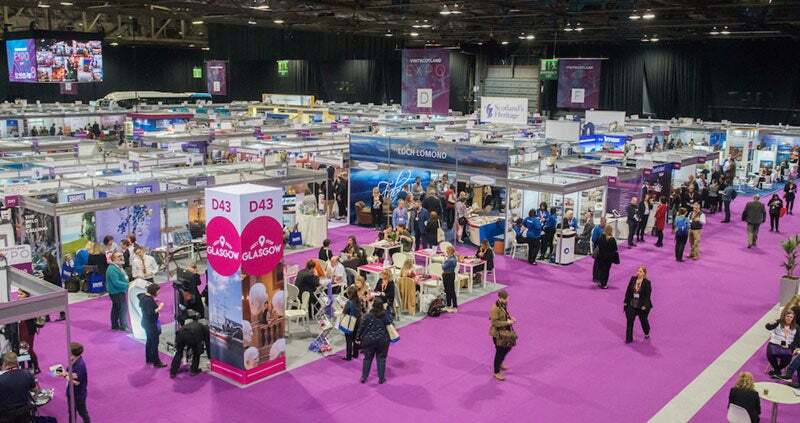 VisitScotland Expo hosted the highest number of tourism businesses in its history as it celebrated the 40th staging of the flagship travel trade event. The best and brightest of Scotland’s tourism industry were showcased to the world, highlighting that our country is still open for business. This is a significant year for the national tourism organisation as 2019 marks Visit Scotland's 50th anniversary and the 40th edition of VisitScotland Expo. The event, which took place at the SEC (Scottish Event Campus) in Glasgow on 10 and 11 April, saw over 340 businesses and more than 550 buyers from across the world attending as it hit the big 4-0. It also comes after Scotland declared its enduring relationship with Europe in a heartfelt message to demonstrate that Scotland is open with a campaign that launched on the 29th March, the original date that the UK had planned to leave the EU. Buyers flew in from 28 different countries including Brazil, Australia, U.S, China, Germany, and France – as well as support from Delta Airlines, Finnair, Hainan and Jet2 delivering top tour operators - to experience what Scotland has to offer and make connections with Scottish suppliers.